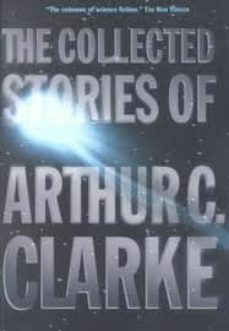 Author of 2001: A Space Odyssey, Childhood's End, The City and the Stars, and the Hugo and Nebula Award-winning Rendezvous with Rama, Arthur C. Clarke is the most celebrated science fiction author alive. He is—with H. G. Wells, Isaac Asimov, and Robert A. Heinlein—one of the writers who define science fiction in our time. Now Clarke has cooperated in the preparation of a massive, definitive edition of his collected shorter works. From early work like "Rescue Party" and "The Lion of Comarre," through classics like "The Star," "Earthlight," "The Nine Billion Names of God," and "The Sentinel" (kernel of the later novel, and movie, 2001: A Space Odyssey), all the way to later work like "A Meeting with Medusa" and "The Hammer of God," this immense volume encapsulates one of the great SF careers of all time.